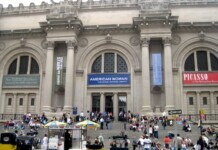 Rockefeller Center, Wollman Rink Central Park, Bryant Park and More! 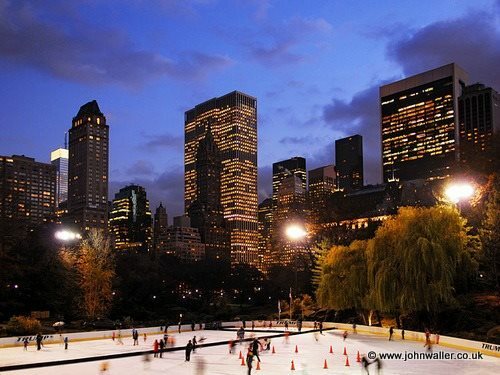 Ice skating in New York City at Central Park, Rockefeller Center and Bryant Park is a classic New York winter experience for both locals and tourists alike! The big question is whether you want to skate during the day or night time? Wherever you choose to skate, you are sure to be surrounded by wonderful views of our amazing city! 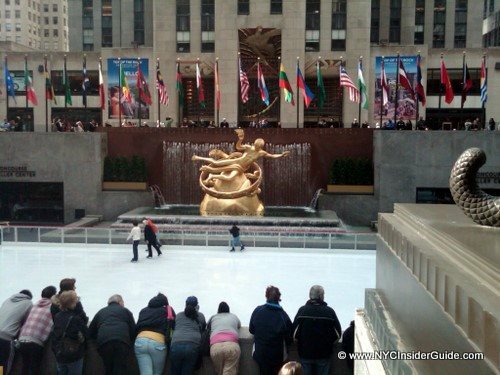 The Ice Rink at Rockefeller Center has been a quintessential NYC winter experience for generations. Skate under the watchful eye of Prometheus and the unique urban backdrop of Rockefeller Center’s sparkling lights. 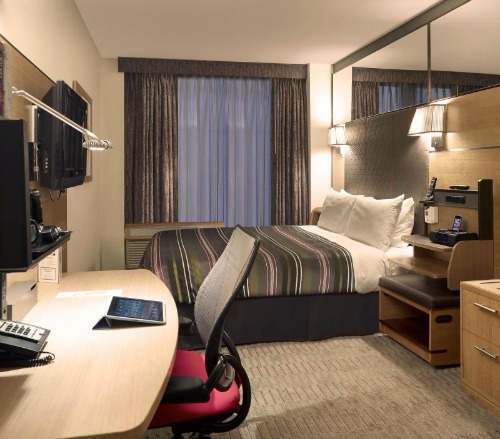 Afterwards, enjoy a meal at Rock Center Café, The Sea Grill or Cucina & Co.
Also check their special packages: Breakfast with Santa, VIP Skate, Radio City Christmas Spectacular, First Skate, Engagement-On-Ice, and Sky Skate. Often the top NYC Deal Sites offer major savings on ice skating in New York City on skate rental and fees. 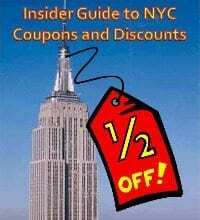 I’ve seen many discounts over the years at these sites and many more. 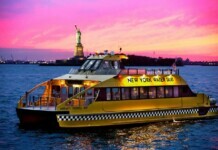 Plus, the sooner you sign up (FREE) for the best NYC Deals, the sooner you start saving on everything in NYC! Skating in Central Park at nighttime is a true New York City moment. Music plays, a moon is a plus, but not required, since the ice itself gives off a silver sheen. The holiday season is the most popular and the most picturesque. Skaters and spectators warm up at the snack bar serving assorted fast food, hot and cold drinks. $11-$18 Adult Admission, $6 Kids, $8 skate rentals, Cash Only. 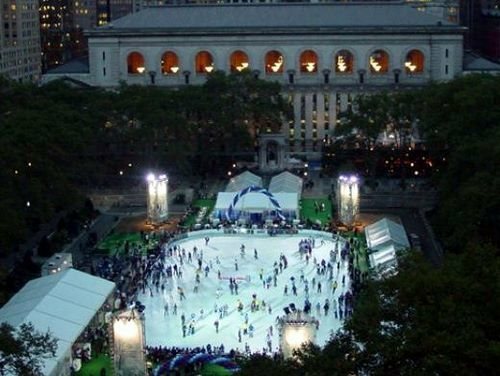 Skate FREE while viewing the New York Public Library or a gorgeous outdoor holiday market. Dine afterward at Celsius or the more casual, Ice Bites and don’t forget to check out their wonderful Holiday Gift Market. Located in front of the hotel, the 3,000 square foot ice rink is open all Winter long and features 3 types of skates to rent, as well as an "Après Skate" menu featuring hot chocolate with marshmallows, apple cider and cheese fondue. Tickets are $12, and skate rentals are $3. 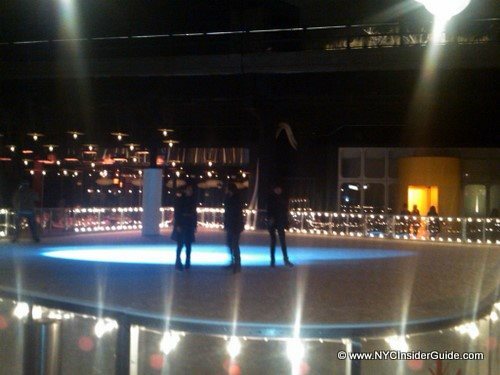 The rink is open from 12pm – 12am weekdays and 9am – 1am on weekends. Skate lessons, as well as locker rentals, are available to all. 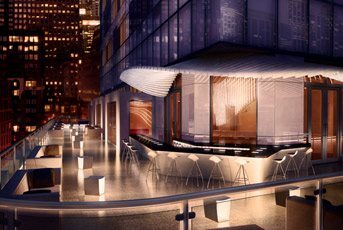 Check out views of lower Manhattan and the new World Trade Center on the W’s new fifth floor ice rink. The small rink (about 400-square-feet) has special drinks, including a deadly vodka-tequila Hot Chocolate Martini.